Why choose to stay in a serviced apartment? For those who choose to stay in a serviced apartment they site spaciousness and availability of a kitchen as the main reasons for making a booking versus Hotel. Wouldn’t it feel a treat if you knew your next short to long-stay business trip included accommodation that offered more space than a cramped Hotel room? Well that is what a serviced apartment is all about – more space, more home comforts and more privacy, but at no extra cost. When planning your trip, your suitcase needn’t weigh anymore than it would if staying in a Hotel. Apartments include all bedlinen, towels and a fully-equipped kitchen. There is also a washing machine, iron and ironing board so you can keep-up with the laundry of essential items at no additional cost. The bathrooms include complimentary soap and shampoo. There is also a welcome pack on arrival which includes complimentary tea, coffee, cereal and milk. The cost is comparatively less than a Hotel of equivalent standards if you stay a few days or more. You also pay per apartment and not per person sharing making this a feasible option for corporate stays. The operating costs of a serviced apartment are much less than those of hotels. There is no bar, restaurant costs to cover and daily housekeeping or maintenance charges are not as high as in a hotel. For this reason Serviced Apartments can keep their prices lower. There are also no hidden extras other than to cover any possible breakages during your stay. How can Cotels help you? 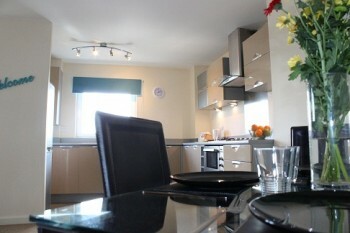 Cotels Serviced Apartments have expanded their portfolio of apartments to include Milton Keynes, Northampton and Luton. Whether you are looking for serviced apartments in any of these locations, we can provide you with a choice of stylishly furnished apartments to choose from. Email us at info@cotels.co.uk, or telephone us on 01908 802853.